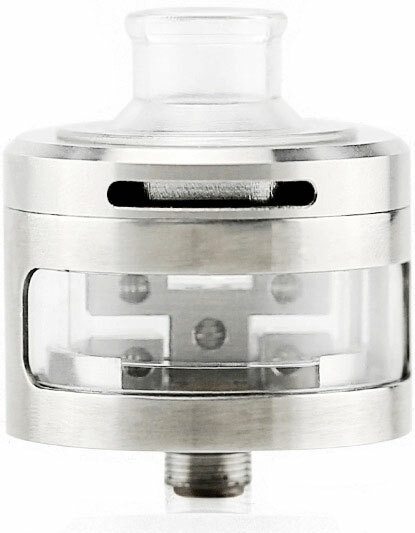 The conical top cap which features the vortex flow design will bring you unexpected vaping pleasure. 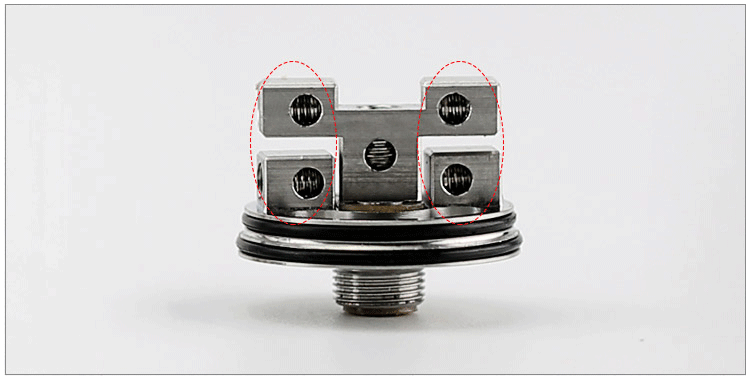 By rotating the airflow control ring, you can adjust the airflow and get different vaping experiences. 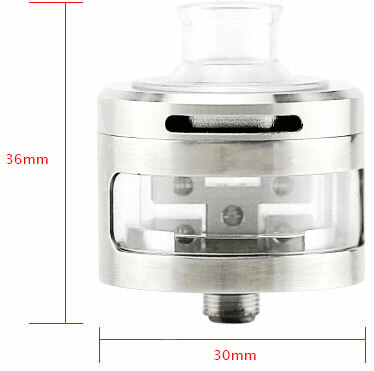 In addition to the transparent 30mm atomizer tube, the atomizer base can also match with the 22mm atomizer tube, which greatly enhance the applicability of atomizer base. Instead of the traditional thread design, the application of black heat-resistant O rings makes the assembly much easier. 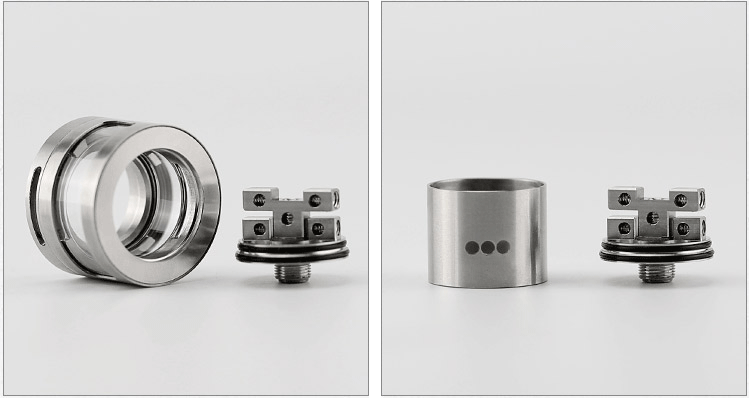 The fans can wrap the coils on the basis of their own preference and enjoy the fun of DIY.